A curling iron is an important styling tool that just about everyone needs, but it can be an especially key item for those with fine hair. If your delicate strands tend to hang straight and limp on their own, a good curling iron can mean the difference between looking blah and bombastic. But if your fine hair is already prone to damage, you might be reluctant to use heat on your strands. To help you decide which heat styling tool you can trust to curl your strands to perfection, we’ve reviewed 7 of our favorite curling irons for fine hair. Read on to get the details on our faves, along with styling tips and ideas on how to choose the best product for you. Whether your hair is ultra fine or super thick, the xtava It Curling Wand has you covered. The black-on-black look of this curling wand creates a sleek, grown-up look that makes this a styling tool fit for fine-haired women of any age. Unlike a traditional curling iron that features a clip, this wand style tool allows you to wrap sections of hair without having to aggressively pin them in place. 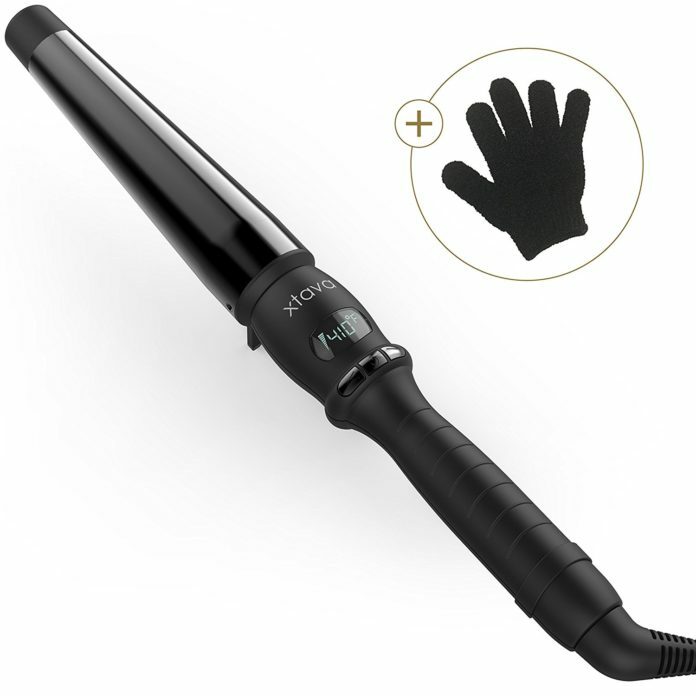 To make the process foolproof, xtava’s It Curling Wand even comes with a heat resistant glove to wear while styling. The adjustable temperature goes from 200 degrees all the way up to 410, allowing you to set the heat that’s best for your strands and the specific look you’re going for. A 5 3/4″ barrel provides a respectable amount of room to work with, but this iron might feel a little cramped if you’ve got ultra long hair. Where xtava’s curling iron really stands apart from the rest is the oval shaped barrel that’s perfect for creating beachy waves. Because the barrel tapers in diameter from 0.75 to 1.25″, you’ve got options for how thick you’d like your curls to be. Ceramic and tourmaline help this wand to be kind to your fine hair no matter the heat setting, although we definitely recommend using a heat protectant spray if you’re planning on using the max heat settings. Not great for short hair. If you don’t mind spending a few extra dollars to invest in a professional grade product to curl your fine hair, we highly recommend this Parwin Pro curling iron. Its straight, one inch barrel is prefect for creating uniform curls, and an impressive temperature range from 140-410°F means this iron can curl anyone’s hair. We especially love that the digital readout and temperature control buttons are near the end of the handle, making them harder to accidentally press as you’re working. A rotating barrel also makes it easy to create curls using the clamp, but you can also wrap your hair around the outside of the barrel for quick and easy styles. 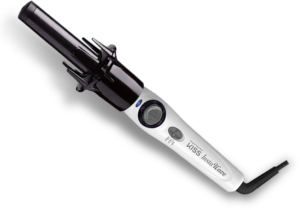 The ceramic tourmaline coating will keep your fine strands safe even at high temperatures, and it features like a 360 degree swivel cord and 60 minute auto shut-off function give this iron the leg up on some of its cheaper competitors. 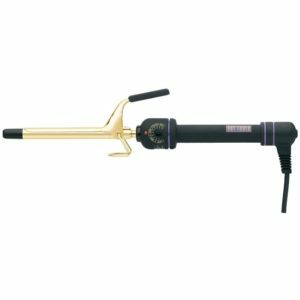 Hot Tools tapered curling iron is a simple curling wand that’s had a lot of expert thought put into its design. An adjustable dial lets you control temperature from 280 to 450 degrees, while a separate On/Off switch makes the iron easy to flick off when you’re running out the door. 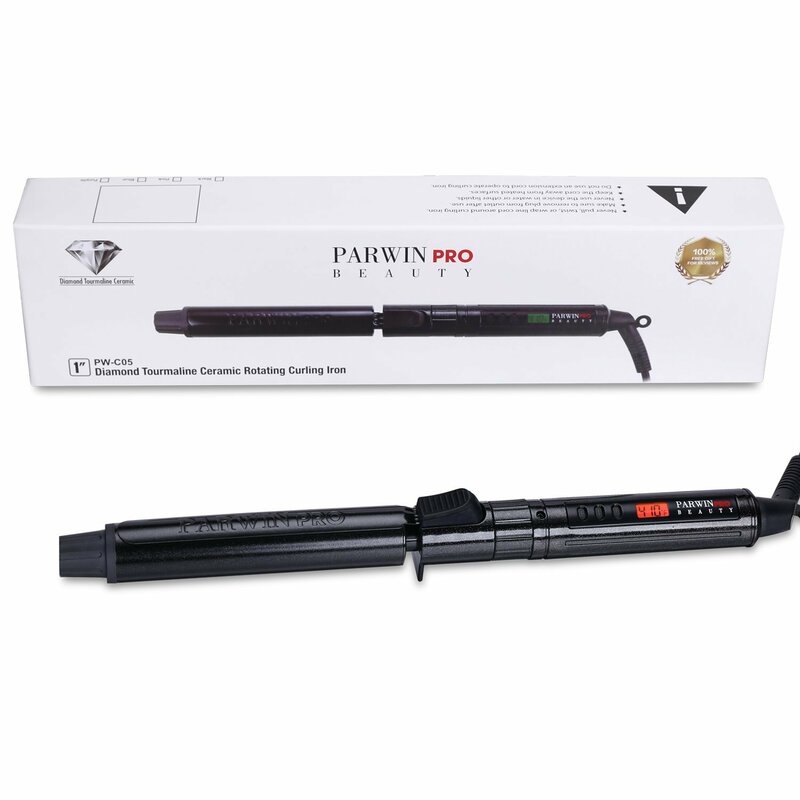 Unlike other curl wands where the handle and barrel merge together, this tapered iron features a bit of separation between the two that helps to keep the handle cool even throughout long hairstyling sessions. If you’re new to a wand style curler, the heat-resistant glove provided will help you get the hang of things safely. The barrel length of this curling iron is on the shorter side, and some users with very long hair have difficulty wrapping a single piece around fully. But if your fine hair is around collarbone length, you shouldn’t have any trouble getting each section to wrap around this Hot Tools iron. The ceramic barrel of this curling wand is smooth and well-coated, while the non-slip grip at the end of the barrel makes it simple and safe to use. If you’re looking to curl your fine hair on a budget, this Conair Infiniti Pro curling iron offers up quality and ease-of-use at an incredibly reasonable price. The 3/4″ barrel on this wand is great for fine hair that’s naturally very straight, allowing you to create tighter curls that will relax as the day goes on. Patented nano technology used in this iron emits negative ions that reduce frizz and static cling, making this an especially useful tool when you’re trying to curl your fine hair during cold, dry months. Conair Infiniti’s five adjustable heat settings go up to 400 degrees, but you’ll need to use extra care when using the highest temperature settings. You might need to use a little extra care with this curling iron, as the shape of the protective tip at the end of its barrel is a bit slippery and can be difficult to grab onto during styling. Negative ions for static and frizz control. Protective tip isn’t well designed. First-time users are often wary of trying out automatic curling irons, either worried about hair getting stuck in the mechanism or that it’s a gimmicky item that won’t really work. But if you have trouble getting traditional wands and irons to create the curls you’re looking for, the Kiss Instawave is an impressive surprise. Simply place a section of hair on the wand, and use the dial to rotate the barrel and curl your hair in the desired direction. We love this automatic curler for medium-to-long fine hair, but it’s one inch barrel may be too large for hair that’s shorter than shoulder length. If you’re looking to create a variety of different curl sizes and textures, this automatic tool might not be your favorite, but anyone looking to simplify basic curls will love this genius gadget. 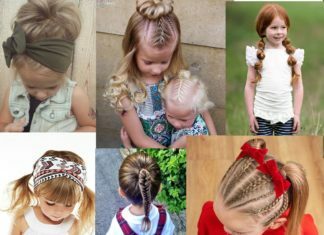 Doesn’t allow for a variety of styles. 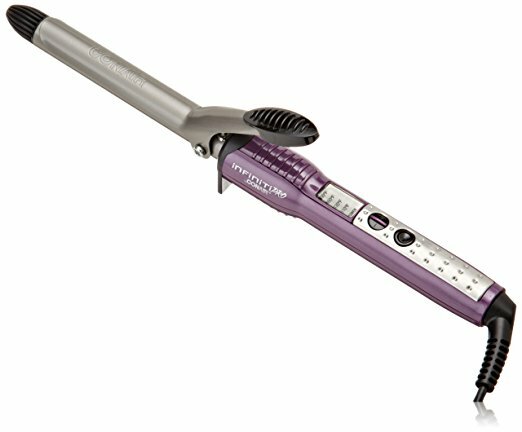 This wand style curling iron from BaByliss Pro is one of our favorites for putting a curl in delicately fine hair. With a super sleek design that features a bright blue handle and steely grey barrel with a gradual taper, this is a pretty product that doesn’t sacrifice looks for quality. With an adjustable temperature dial that goes from 0-50, the Conicurl allows you to fine tune your heat settings depending on the specific style you’re going for and the state of your strands on any particular day. And while this wand is great for curling fine hair, there’s also no downside to using it on thick or coarse strands. 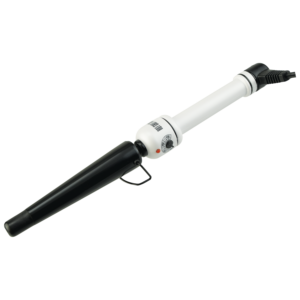 Users with very long hair get great mileage out of this curling iron, as do women with fine natural curls that might need a light refreshing with a touch of heat. As salon-quality products, BaByliss tools usually come at premium prices at a salon, but can be found at more competitive costs online. Sleek and chic looking wand. Doesn’t tell you exact temperature. 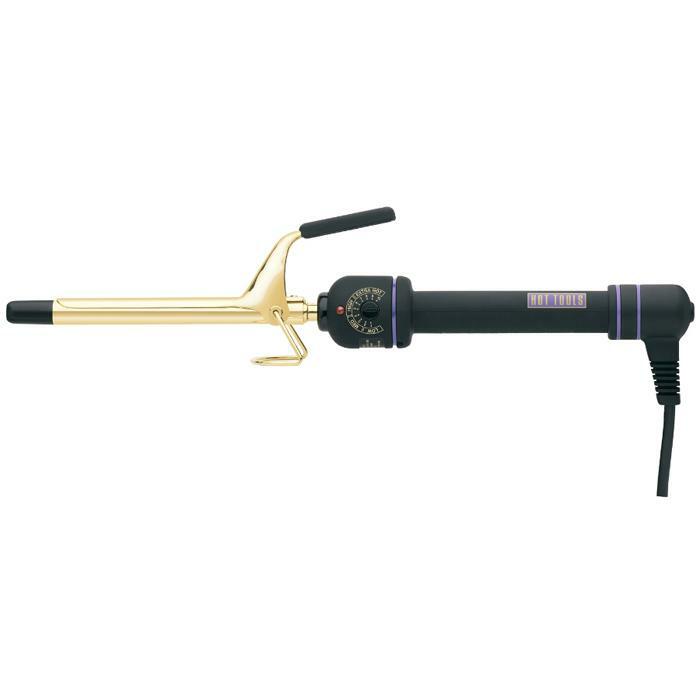 Another great curling iron from Hot Tools, the Micro Mini is ideal for fine hair that’s on the shorter side, and will help you create impressively small spiral curls. As a more traditional style curling iron with a clamp, this easy-to-use product doesn’t come with a learning curve, and will be bringing you instant spiral goodness right out of the package. The design of its clamp really sets this Hot Tools iron apart from some of its lower quality competition. An elongated clamp gives you tons of leverage, while there’s a depression in its heat-resistant coating that’s meant to keep your hand comfortable after repeated use. The soft grip handle is a nice added touch that you’ll be thankful for during marathon styling sessions, and the adjustable temperature dial is pretty much foolproof. 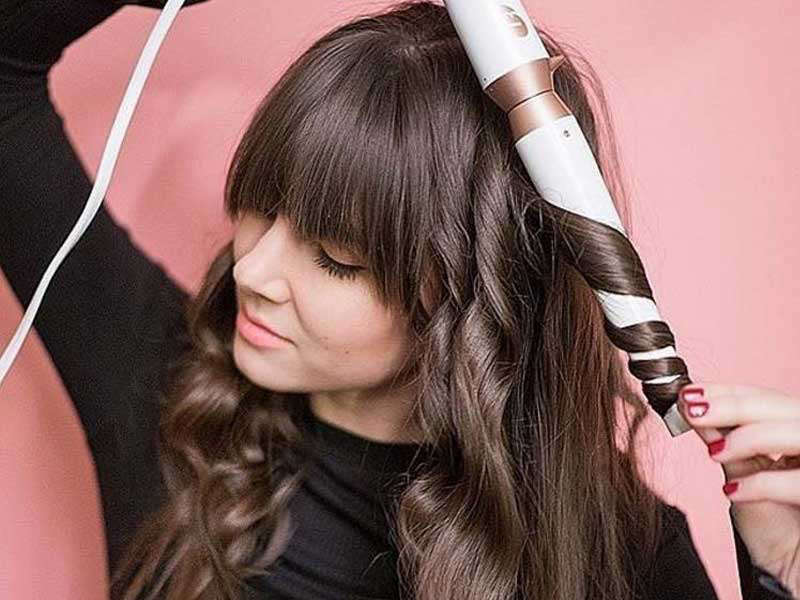 Whether you’re browsing online or at a beauty supply store, there are a few different elements that can help you choose the best curling iron for working with your fine hair. Temperature control. Fine hair is often delicate and more easily damaged by heat. 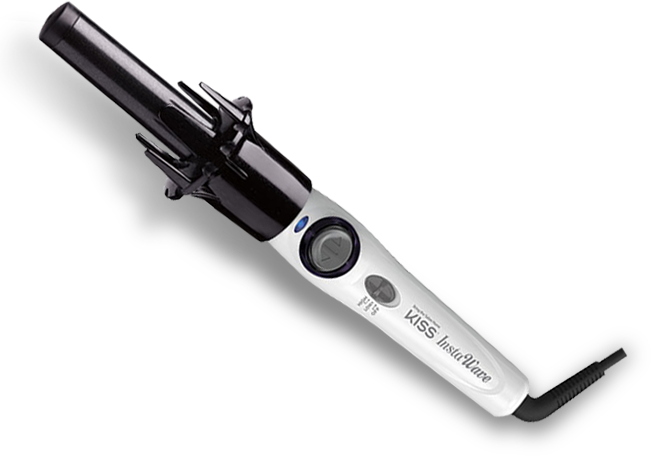 For this reason, most women with fine hair will get the most out of a curling iron with adjustable temperature control. This allows you to find the perfect temperature that’s hot enough to curl your hair without causing unnecessary damage. Irons that only heat up to 400 degrees may work for thick, coarse hair, but using ultra high temperatures on fine hair can be a gamble. Barrel size. One specific barrel size isn’t necessarily better for fine hair. But if you’re one of the many fine haired women with very straight hair, a smaller sized barrel can help you create curls that last longer. 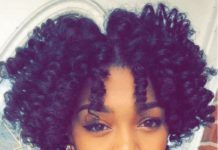 Opting for something under 1″ wide will allow you to create spiral curls that you can then pull apart with your fingers or let them slowly loosen throughout the day. Fine hair that’s short is also easier to work with using a smaller barrel. Clamp quality. No-clamp wand style curling irons or high quality clamp irons with a tight spring are generally the best options for putting curls in your fine hair. Curling wands without clamps are becoming very popular, and they differ from traditional clamped irons in a few ways. Anyone looking to create looser waves may prefer an iron without a clamp, and this structure also allows for different shaped barrels that can give you unique curl patterns. If you prefer a clamp version, you’ll want to choose an iron that clamps quite tightly, as finely textured hair can be harder to clamp in place. Material. For fine hair that’s delicate or already damaged, curling irons coated in materials like ceramic or tourmaline tend to be less damaging and drying than irons with a metal finish. 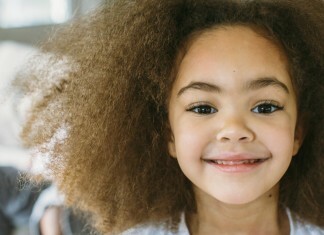 If dryness, frizz, or static are a concern with your fine hair, opting for coated materials is a good choice. If you do decide to use a metal curling iron on your fine hair, be sure it has adjustable temperature settings to avoid damaging your strands. Once you’ve picked the perfect tool to curl your fine hair, follow these steps to go from flat to fabulous . If you’re washing your hair the same day that you’ll be curling it, using volumizing products is a good way to help get the most out of your styling efforts. When hair is damp, you can also apply a volumizing mousse or spray to create extra body before you blow-dry. 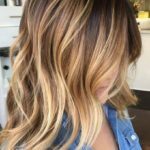 Working with day-old hair? Dry shampoo can help add volume and absorb any unsightly oil at your roots. Apply a heat protectant spray to help coat your hair before using any heat styling tools, either before you blow-dry or prior to using the curling iron on your already dry hair. Once your hair is prepped, begin working with the lower section of your hair, clipping or tying upper layers out of the way. Set your curling iron to a lower temperature (less than 300 degrees) to begin with, and increase gradually if it isn’t hot enough to curl your hair. Work with sections of hair that are no more that 1.5″ thick, and either wrap around your curling wand or clamp and curl using a traditional iron. If your fine hair likes to fall out of curls straight away, clip curls to your head right after they’ve been released. This allows them to cool in place, and results in a longer lasting style. Once hair in the lower section is complete, you can move on to the upper layers of your hair. Depending on how tight you’d like your curls to be, you can finish your look with a light hold hairspray, keeping in mind that heavy products may weigh down your hair. When working with fine, delicate strands, less product is usually more. Short, fine hair. Fine hair that’s on the shorter side can be very difficult to curl. Since there’s nothing worse than buying an iron that your hair will barely wrap around, opt for an iron with a thin barrel (0.5-0.75 inches). Even if the curls feel too tight and spiral right off the bat, you can always brush them out to create a more relaxed look. Long, fine hair. Longer hair gives you more room for error when it comes to barrel width. Choosing a tapered iron gives you some extra versatility when it comes to curling your fine hair. If you’re a fan of loose waves, go for a no-clamp curling wand with an oval-shaped barrel. Damaged, fine hair. It’s all about temperature and proper preparation. In addition to choosing an iron that lets you adjust the temperature settings, we recommend investing in a high-quality protectant spray to keep your curls from causing more damage. Style addict. If you’re into curling your hair on a near-daily basis, it’s tough to find one curling iron that can do it all. If your budget allows, buying a curling iron with multiple interchangeable barrels will let you create a wide variety of curl sizes and shapes. 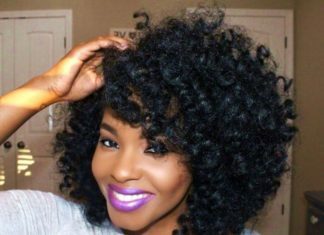 It’s true that freshly washed hair can have trouble holding a curl, but going too long between washes can leave your hair weighed down by product and oil. Try washing your hair every second day to get your fine hair to hold a curl without falling flat. When you do wash your hair, be sure to only apply conditioner to the ends. Apply product sparingly, and start from the ends. 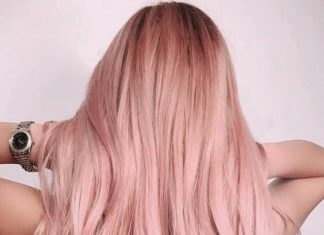 Less is more when it comes to fine hair, and over-applying product often can’t be solved without washing your hair again. 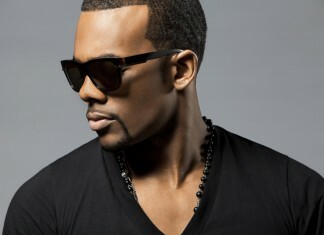 Try wearing a mid-length cut without too much layering to give your fine hair the best chance of holding a curl. Heavily layered or ultra long styles can look weighed down or lifeless with finely textured hair. Blowing out your hair with a round brush can make fine hair look limp. If you’ve got to dry hair right before you curl it, try rough drying using only your hands and a blow-dryer.